There are 116 reader responses to "Pros and Cons: 30-Year Mortgage vs.15-Year Mortgage". We are in a 25 year loan after refinancing, we do prepay but I agree that most people lack the discipline to prepay on a mortgage (including us). While we are prepaying, we don’t prepay every month or the same amount every month. We split the difference. We did a 30-year fixed at 5.5% and pay a bit more every month. The exact amount varies depending on what the expenses are for the month. Basically, we set up a payment that brings the amount in our checking account down to $1000 at the end of the month. Right now, we are on schedule to pay off in 23 years. My husband was just laid off, so extra payments will probably need to stop until our modified budget is settled. Severance pay and unemployment have not started to come in, but depending on how disciplined we are, we may still be able to pay a little extra on the mortgage. I took out a 35 year loan because my spouse was in school, and I’m glad we did. After school it was decided to start a business rather than going to work for someone and the lower payment has really helped our finances. Once the income becomes more stable (and hopefully much higher) then we can start doing some major over-payments to hopefully have things done in 15 years anyway. Though our house was only 102K, so it’s fairly easy to keep up with. To me, the reason the number is so high is not lack of discipline, but so that few understand the benefits of paying down loans. They get a bill from the mortgage company, an they pay it. Just like any other bill. I’m in the 8th year of 30 year (95/5) mortgage. I pay the higher payment each month and then, at the end of the year, pay at least an extra payment. Net result is two extra payments a year. The result is basically what you show: I’ll pay off the mortgage about 10 years early. We have a 40 year mortgage (got at the very end of the bubble, when that was “normal”) and in one year of payments we have brought it down to 23 years remaining. Our plan is to continue to be as aggressive as possible and bring the down the time even more. Note: I’m in Canada, not the USA, so things work a bit differently here. We bought a house in March. We chose a 30 year mortgage over a 15 year so that we would be comfortable with our payments over the long haul. We are diligent savers so we plan to make a 13th payment (or pre-pay a larger chunk of money) each year to get it paid off sooner. We are very happy about the decision we’ve made to do a 30yr and pre-pay. We just recently made this decision. We bought a house a year ago with only 5% down (I know, not Dave Ramsey’s advice). We put a good chunk of our tax incentive to principle and pay an extra $100 every month to principle. The interest rate just got to a point where it made sense for us to refinance. We could have gone with a 15 year term and not had any increase in payment (since we were paying an extra $100 each month), but we decided to go with the 30 year term and continue to aggressively pay it off. We’re trying to get rid of PMI as fast as possible. I feel much safer knowing that I have a smaller required monthly payment should we need to tap our emergency fund. Very interesting timing on this post. I’m closing on my first house in about an hour. I was right at the borderline of feeling comfortable with a 15 year loan, but in the end I decided to go with a 30 year loan and the intention of paying it off in fewer than 15 years. The reasoning was all about risk aversion. I don’t know what the rest of this year holds for me, let alone the next 15 or 30. My individual situation is this: I don’t own much furniture or anything like that. So, for the first 3 – 6 months of owning, I will use all of my “extra” money to buy what I need to live. Once that is settled, and once the tax credit comes in, I’ll shift to a 15 or fewer year payment schedule. Excellent post April. Really topical and well worded. I live in a country where rates are not as low as in the US. Typical lending rates are nearer to 11.5%, which gives differences in absolute terms that are much higher, ie 20 yr vs 30yr. Our interest rate volatility is also quite high, giving extra thought for reasons to go longer term on the home loan to ride out volatility in interest rates. Just did this, and decided to go with the 30 year fixed at 5% and prepay. The lower monthly requirements were the biggest factor – we knew we could still make them on one salary if we had to; not true of the 15 year payments. We’re able to round the payment up to an easily subtracted number on our automated withdrawls. The $110 extra per month will let us pay off our 30 year mortgage in 17 years. I totally do not get the ‘tax writeoff’ argument. If I had enough cash, I would pay off the entire debt tomorrow. At that point, I’m saving $1000/month, so who gives a *!+” about the minor tax savings? I bought my house in 2001 with a 30-year mortgage, which I’ve been paying extra on, not absolutely every month but pretty consistently. I’m now in the process of refinancing the remaining balance to a 15-year loan. One thing to consider is that the taxes and insurance are variable. If your house appreciates in value, the taxes go up, and any number of things can cause your insurance to do so. So allow for a decent cushion. Here’s my issue. If you’re talking about the difference of 0.5% interest, I’m having a hard time understanding how it’s worth it. I know personal finance isn’t always about the math, but the math is still an important component. With high yield savings accounts even offering very low interest rates right now, you still for example would make 1.4% interest if you stuck that extra money in let’s say ING right now, and there are better and safer investments besides savings accounts than your home that could result in even better returns than 1.4%, especially when locking your money up in the long run. Plus, you preserve liquidity and flexibility that can allow you to take advantage of opportunities that come your way. When I told the banker I wanted to pay off the mortgage in 10 years, he tried to get me to sign a 25 year agreement. Luckily, I learned early on to read all my contracts, so I caught the amortization term he snuck in there. Using small words because I’m a girl and I was young at the time, he said the 25 year mortgage would be more prudent and I could make extra payments to bring down the amortization. After raising a single eyebrow, I told him I know my finances and I would take my business elsewhere if he didn’t change the amortization term to 13 years (I gave myself some wiggle room just in case something unplanned happened). Fast forward three and a half years and I’m exactly 3 months from paying off the mortgage because I kept my lifestyle inflation in check and threw my annual raises at my only debt. As a side note, the banker was a condescending, sexist jerk because he snickered and looked at me like he was indulging an imaginative child and her invisible friend when, at 23, I told him I would give him a down payment of $100k in 20 months when the construction on my home completed and I took possession. My mind has always been wired to think in terms of paying off a debt as fast as possible. The sooner its gone, the less interest you pay, the more secure your asset is, and the greater your peace of mind. However this often comes at the opportunity cost of setting aside other worthwhile goals. I’m interested to know how much inflation plays a role in how much you “pay” for your mortgage. The straight math says a 15 year mortgage saves you a ton of money, but what about the additional 15 years of inflation that you’ll benefit from with a 30 year mortgage? With an assumed %3 rise in in inflation each year, the effective amount you’d be paying in year 30 would be 45% less than in year 15. I haven’t found an equation or calculator yet that really takes that into consideration, but it sure makes me wonder just because I almost never hear it mentioned except in passing. Interesting comparison. That’s a tough choice – the 15 yr payments are a lot more than the 30 yr. On the other hand – saving 0.5% interest each year is pretty huge as well. In Canada, the whole mortage industry is quite different than the US. I’m still not convinced a 15 year note is worth it over a 30 year mortgage. Remember, a dollar today is worth more than a dollar tomorrow. Assuming inflation is 2% and you have a 5% rate on your mortgage, you’re carrying cost of the debt is really only 3% as you are using tomorrows dollars to pay off your obligation so it is cheaper for you. By spreading the payments out into the future you are actually saving yourself some money. So what does this all mean? It means that the closer the spread is between your mortgage rate and the rate of inflation, the less sense it makes to pay off the note early. What you have to ask yourself is this: can I get a better rate of return on the difference between my mortgage rate and the inflation rate by doing something else with my money? My difference is ~3%, I think I can do better than that over the next 25 or so years. Money is a resource, use it wisely. I have a $165,000 mortgage at 5.5% 30-year. My plans are to pay extra to the principal and hopefully be done with my mortgage in 15 years. I like this method because, if something does happen to me or my wife or our jobs, then we can always go back to the lower monthly payments. The borrower would be entitled to a standard deduction of $5,700 (single) or $11,400 (married filing joint). If the borrower is married filing joint there is no incremental tax benefit as a result of the mortgage interest deduction as interest never more than $11,400. If the borrower is single, interest payments for the first 12 months are $7,946 and $7,044 for the 30-year and 15-year mortgages, respectively (assuming loan incepts 1/1). Thus in the first year the incremental tax benefit for the 30-year is (7,946 – 5,700 std deduction) x 25% marginal tax rate = $562. 15-year: (7,044 – 5,700) x 25% = $336. However, the interest deduction phases out as the principal balance declines and interest expense declines. The 15-year mortgage only generates sufficient interest expense to result in an incremental deduction for the first 4 years; thereafter interest expense is less than $5,700 standard deduction. The 30-year mortgage only generates an incremental deduction for 14 years. The total incremental tax saving for the 30-year mortgage is $4,464 (an “average” of $148 per year) and for the 15-year mortgage is $800 (an “average” of $53 per year). This illustration obviously excludes the effect of other deductions, such as state and local taxes, that may extend the deductability of mortgage interest. However, I think too often illustrations that consider the tax benefit of mortgage interest do not consider the marginal benefit that is derived in excess of the standard deduction. Where there are other deductions, the standard deduction should be “allocated” among the deductions to determine the marginal tax benefit of the deduction. And god help you if you are subject to AMT, then it all goes out the window as a portion of your state and local taxes no longer generate a tax benefit. Great post! I found this really helpful as I’m thinking of getting a modest place in a year or so. (I want to beef up the emergency fund first). The discussion here is helpful too! It’s great to hear from people who are a few steps ahead of me. I think I like the flexibility of a longer term and paying it off early. Ideally, I’d like to rent out a room and use that money to pay down the mortgage early, but I know rental income isn’t always stable. I think Scott has a great post, as he correctly identifies a discounting process on the value of a loan. We’d have to go further however and discount tomorrow’s payment vs. today’s (simply paying today vs. tomorrow, tomorrow is less valuable). Scott’s conclusion is correct. As one approaches the expected inflation rate, the value of prepaying a mortgage vs. the next best use approaches 0. It is VERY important to discount your mortgage payments using NPV calculations, something I have seen no free mortgage calculator do online. We have a 30-year that we’re paying like a 15. Like some others above, we went with the 30 for the risk factor – if one of us lost our job we could still pay the minimum with a single income. But while we have two incomes we’re being fairly aggressive about paying it down, while still leaving money for emergency fund, home improvements and fun. I would say that, if you can only afford the home on a 30 year mortgage, then you can’t afford the home. Also, I would say that advising people to take a 30 year mortgage and pay extra would only apply to ADVANCED frugality. No, most people are not capable of comprehending the benefits of prepayment, let alone of having the discipline to follow through. We have a 15 year mortgage at 5.5%. We have paid additional money on the principal ranging from $200/month to $500/month. Currently we are not paying additional because of underemployment. We bought less house than we could “afford”. We only used HALF of the loan amount that we had pre-qualified for. Our realtor kept trying to push us into a more expensive house. But, because we bought something modest, we have had more money to pay extra on the principal, the ability to chose 15 year over 30 year (we would never pick 30 year), the ability to put some money into improvements around the house, and the ability to afford our mortgage when un- or under-employed. I would jump all over a 15-year mortgage if I could afford to–I simply can’t at the moment. The next best thing however is to pay extra every month that I can. Sometimes its $25, sometimes its $100. Timely post to something related – Sallie Mae loan repayment documents were sent out today, indicating the monthly payment. After I picked myself up off of the floor from shock, I mused about what to do – attempt to refinance (unlikely to get a better rate today! ), pay early, graduated income payments, etc. Your take-30 and pay-in-15 option sounds like the best (in the student loan case take 10 and pay in 5) for awhile. I think the right strategy is to get a 15-yr mortgage if you can handle the extra payments, and pay it off sooner in 10 years. But, the more digestable strategy is to just get a 30-yr mortgage and pay it off in 15 years. I find arguements about payment differences very basic. Anyone can say they spend less on a 30 versus a 15. Everyone should be able to say they spend more on interest on a 30 versus a 15, or they never read the loan disclosures. An asset versus liability, or balance sheet, approach needs to be viewed when making these decisions. I liked #17s approach but #4 states clearly the behavioral side of personal spending/savings. If one can not make extra payments or save the extra they would have been paying on a 15 versus a 30. Then they should go with a 15. This will provide more options in the future which are more valuable than going out for dinner a few more times per month or buying some other non-essential items. If your concerned about not putting dinner on the table due to a 15 year payment, buy a less expensive home! I strongly believe in reducing your personal leverage because when your chips are down you need as many options as possible. The current economy clearly shows housing prices fluctuate. This can leave you upside down or reduce your loan to value ratios. The result could reduce your ability to borrow or sell your house. Eliminating your future options. 1) we saved up a large down payment — enough that we did not have to have mortgage insurance added to our loan: immediate savings that we could add to our monthly payment. 2) we didn’t buy all the house we could, but we bought a house big enough for our needs, and then some — it had a “mother in law apartment in the finished basement. 5) pay off the mortgage as soon as possible. It’s been great. We paid off the mortgage, which made us not as interested in buying another house and going back to mortgage payments. Instead, we’ve done some remodeling (the basement apartment is gone, I now have a great library and exercise room down there and a laundry room instead of the second kitchen…) and we have a lot of savings. The house is available to us if we needed to withdraw some equity from it, and I’m not concerned about any capital we might have lost through inflation, the peace of mind/security of having the house paid for is worth it. Mod Casper up. I got married this year, and now my mortgage/property tax deductions go to zero because they are less than $11,400. And if we decide to file separately but married, we both have to either itemize or take the standard deduction. If you have a business or regularly itemize, then yes it’s still a good deal, but for everyone else I feel the benefits are overstated. We custom built our home 12 years ago. We had a 25% down payment and used a HELOC secured by the property to fund the remaining 75%….did not take a ‘mortgage’ at all. We were able to take advantage of a lower interest rate, had the option to make interest only payments in the event of a financial crisis (we never did) and could make bulk payments whenever we were able without any penalties. We paid it off in 12 years–3 years shy of our goal of 15 years. I do not agree with Sarah A. (#22) about “if you can only afford the home on a 30 year mortgage, then you can’t afford the home”. My husband and I bought our first home in 2007 when the market was still at top. We didn’t even have any down payment (20% down = 70K), however we were lucky to get a 100% loan in 30 years, and only had to pay around 11K in closing costs. Should we choose 15-year loan? We could, but we didn’t feel comfortable with the idea. To us, the idea of having some money in our pockets NOW is ways better than having little money and knowing that we are going to own the house in the next 15 years. The bank will still own our house next year, the year after.. and years after.. and no one can say how we would be next year yet. By the way, from all little saving here and there after purchasing the first house, we had been able to purchase a vacation home this year with another 30-year loan and 20% down. Since this new loan is fairly small, we are planning to pay off early (just like the snowball strategy JD mentioned yesterday). In summary, had we chosen the 15-year loan for our first house, we would probably (hopefully) own 1 expensive house in Maryland in the next 15 years. However, with the same amount of monthly payment, we are now “owning” 2 houses and will probably (hopefully) own the vacation house soon. The 30-year loan (and 0-down) is working for us. I really like Scott’s comment above – good thinking! We didn’t think about the word “inflation” at the first time buying, just thought that tomorrow would be another day for the market and no one knows which way: up or down it would go. If it would go down, it would be buy-opportunities for people who are ready to catch those opportunities. If it would go up.. hey, we are making some good investment. Currently my better half and I have $77,000 in CDs saved for a down payment towards a house. Our rent is currently $812 a month – brand spanking new apartment complex, pool, hottub, fitness center, gated entrance, great location outside Knoxville. We are on pace to add $24,000 in the next year to our down payment. We plan to continue this trend for the next year maybe two. Would it be better to keep paying rent, thus saving for another three to five years? Or would it be better to buy in a year – assuming all is equal? We are looking to spend around $1200 a month on a mortage when the time comes. Would it be better to stay where we are until we have enough to purchase a house out right? I’m not sure if it would be better to pay $48,720 towards rent for the next 5 years or to buy in a year or two? I find that the bank may make it hard to instill some of the discipline to pay extra on the mortgage. With my mortgage company, if I set up extra payment automatically as part of the monthly auto-pay, the bank will change the payment back to the basic mortgage payment anytime the mortgage amount changes (usually changes in the escrow account). They do this even if the new amount owed monthly is less than what I set up my auto pay for. I can end up calling again to reset the pay 2 or 3 times a year which means I’ll forget at least one of those and let it ride for months without checking. I got a sense of deja-vu reading this article. It really depends on your plans. Are you going to be in Knoxville for a while? Or could you move in the next 12 month? In terms of paying outright vs a mortgage I would point you to my post (#17). You gain financial flexibility by purchasing outright as you have no required payment to a bank every month, but you do lose flexibility in terms of the liquidity of your investments. Assuming you can get a ~5% mortgage and again assuming inflation is around 2%, can you find an investment vehicle that would give you a return of around 3%? If this is the case, then you have access to cash and you get the same (or better) return on your money as if you had the mortgage. Use the mortgage as leverage (remember not all leverage is bad). Assuming your jobs are stable and you have a sufficient emergency fund, use your remaining funds to create a well balanced and well diversified portfolio of investment products (CDs, bonds, index funds). You’re using other peoples’ money to purchase your house while you use your own capital to invest and grow. If you can grow your capital at a rate greater than (mortgage rate – inflation rate) you are doing yourself a favor. I have a 30yr @ 5.5 and while I can afford the 15yr route (either via extra payments or an actual 15yr loan), I much prefer to keep that extra $400ish each month for now to beef up my emergency fund. Once I have about a year’s worth of income in there, then I’ll start paying more on the mortgage. I think, as many have said, it’s not just about the math – for me, as a single woman at 40 years old, it’s as much about what I’m comfortable with since I’m my only source of income, and cash + retirement right now seem more important. I don’t agree with the logic of giving yourself “wiggle room”. If you think you might need wiggle room, it’s probably because you are trying to buy more house than you can really afford. If you go with the 30 year term with plans to pay it as if it was a fifteen year, make sure that your payments are already less than 25% of your income at the 15 year amortization. $7,400 is a lot of money to pay for some “wiggle room.” Instead, why not self-insure the risk by ramping up your emergency fund savings and making a substantial down payment? If that isn’t enough to allay your fears, then you’re probably buying more house than you can afford. I created a detailed spreadsheet (in Google Docs) that parallels a lender’s Good Faith Estimate, but also includes some additional areas to estimate whether someone can afford a given house. The decision between a 30- and a 15-year mortgage doesn’t have to be set in stone for the length of the loan. When we bought our house 20 years ago, we started with a 30-year loan at 9.75%. We refinanced a couple years later to another 30-year loan when rates dropped to 7.75% For a few years, we also participated in the bank’s bi-saver payment plan in which we paid half our monthly payment every two weeks, ending up with 13 payments a year. As our incomes rose, we could afford a larger payment. So when rates dropped into the 6% range, we refinanced to a 15-year loan. I think it was about two years later, in 2004, we refinanced to a 10-year loan at 4.625%. If we don’t make any prepayments on this loan (which we’ve thought about doing with an inheritance my husband is receiving), we’ll have the house paid off about 24.5 years after buying it. I’ll be 60 then and my husband will be 62, so eliminating our biggest monthly expense is a major factor in considering at what age we want to and can retire from full-time work. Each time we refinanced to a lower interest rate, we looked at how long it would take to recover any refinancing costs and made sure we wanted to stay in the house that much longer. The increased mortgage payments were never more than $100-200 so we could easily afford that as our incomes rose. The same could be true for the 30-year-old in the example used. The income that person will have at age 40 or 45 or 50 should be higher. Taking advantage of lower rates or shorter loan terms is an opportunity that can be explored at that point. I have to add that we have friends who bought their house within a month or so of when we did. Taking a totally opposite approach, they refinanced their mortgage within the last year to take cash out to pay off credit card debt. Rather than paying their house off in 30 years, I’m afraid they’ll be paying for it much, much longer than they would like to. My DH and I did something a little different this time when we refinanced, so I thought I’d add this to the mix. We’ve always been pretty conservative financially, and bought a mortgage we could pay on one salary. DH lost his job and took a new one at half the take-home pay, so I wanted to get the mortgage down even lower. We refinanced with a 30 year (again, to maximize our monthly security) with payments just under $700/month and will pay $850/month for two years as we rebuild savings and take care of a major project. Here’s the different item: in two years, we’re increasing the monthly payment to $1600 and then we’ll annually increase our monthly payment $100. We expect to be paid off in 2015. Depending on your age, I think 15 years is a good time frame. However, if that will prevent you from having an emergency savings account or meeting other goals, I’d look for a 20-25 year mortgage or a 30 year that you can pre-pay w/o penalty. Also, my daughter is an architect & she says that the biggest mistake that homeowners make regardless of income is building a house that is too big. Wasted space = high utility bills, rooms that appear to need a lot of furniture, high maintenance costs etc. An architect or designer can help design a somewhat smaller but more efficient and elegant house. If you think you need a 2,000 sq. ft. house ask a designer for an 1800 sq ft plan that has all the amenities you want. What you pay in design fees will be made up for in construction costs. Not to mention all those housekeeping expenses over the years. Good numbers but one of the biggest advantages the 15 year note (or paying off the 30 year in 15 years), in my opinion, is the ENORMOUS overall value in having the mortgage paid off relative to each borrowers age at the time of payoff. Example: Borrower buys a house at age 25 when getting married and gets a 15 year mortgage. Has a baby at age 28 and 32. The mortgage is paid off entirely by the time the borrower is 40 and when the kids are still relatively inexpensive at ages 12 and 8 . Conversely, same borrower with a 30 year mortgage pays on it until age 55. Borrower is more likely to be “strapped” for a good amount of time paying for expensive kids (driving, college, etc) while still paying their mortgage. That differences in the above compound exponentially when you look further down the line…..the 15 year borrower at their youngest’s college graduation hasn’t made a mortgage payment in 14 years. Having been free from mortgage debt for 14 years, that person will most likely have had a marked difference in overall quality of life during those college tuition years compared to the borrower juggling expensive kids with their mortgage on which they will be paying for the next 16 years. One more point lacking in the article…. The suppositions of the post (and my examples) are predicated upon a borrower purchasing their “long term house.” Should a borrower be purchasing a “transition home” in which they plan to stay only 1-3 years, the lowest fixed payment possible should be sought (which most likely will be a 30 year). That leverage will allow for a better ROI on any appreciation. 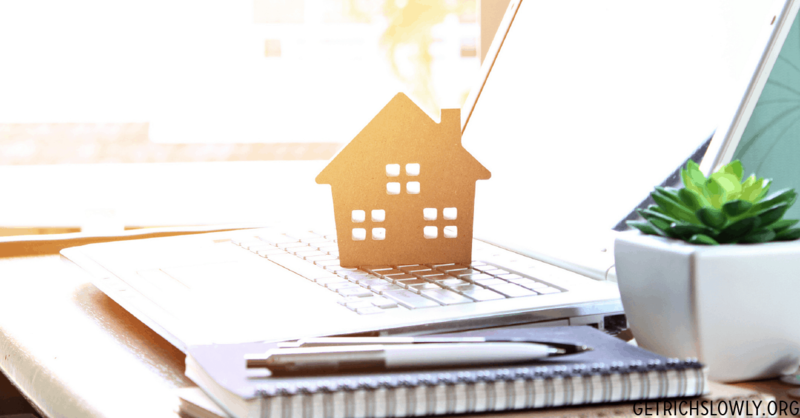 If there is no appreciation or depreciation at the time of sale of the “transition home”, the difference in the principle owed after 3 years will be negligible with any mortgage. Also, any monthly payment savings being saved for the down payment on the “long term house” (or invested somewhere else for a return). We were older when we bought a house together: 42 and 43. Had 40% downpayment saved, so hadn’t completely been frittering away our money on fun and games. LOL. Took a 15 yr mortgage and have been pleasantly surprised at the effect of throwing extra money at it whenever we can. In 2 years and 3 months we expect to have paid it off completely (6 yrs 9 months total), and we’ll both be under 50. Caveats: no kids, 1 car, centretown house, not too big, 1 of us works from home, we eat in almost exclusively, travel overseas only every two years. Hubby is very risk-averse, and I’m less so. We do keep a 4-6 month emergency fund/new vehicle downpayment fund on hand. We’d like more tips on higher returns, but would rather put sweat into something than accept high risks. Suggestions? I had a 30-year at 5.375% for monthly payments of about $1400. When I refinanced to 4.875% (will recover closing costs in 1.5 years), payment went down about $200, but I still pay $1400 as that’s what I was used to/had budgeted for years. This shaves off 8 years (2 off the original loan’s). As the principal decreases and tax benefit no longer a benefit (eg. standard deduction is greater), that’s the time to accelerate paying it off. The one thing to note guys is inflation. If you believe inflation is going to be huge, then it ironically makes sense to have as much debt as you can b/c inflation simply inflates away your debt. Essentially, you are going short bonds b/c rates will go up if inflation arrives. Samurai, I don’t care about inflation. I care about owning my own home outright. Debt of any kind — home or car — just means that you’re just renting your lifestyle from the bank. – Read your mortgage for an early pay-off penalty and make sure to factor that it (though it will still probably be much, much less than the interest over 30 yr). – I am looking for a calculator to help me figure the impact of my extra payments – any recommendations? It gives you a few options for calculating additional payments. We just bought our first home – a new construction – with an incentive rate of 3.875% on a 30 year fixed. There was no 15 year option on this deal, but even if there was, I doubt the rate would be any lower than it already is. With that in mind, I would be interested in running the numbers on a 15 yr vs 30 yr comparison with equal rate. We’re throwing as much as we can at the principal beyond our normal payment to get 20% (we started at 5%) equity and kill off the mortgage insurance. The long term plan is to pay it off in full in 15 to 20 years. 30 year mortgages are touted as being “less risky” because of the lower monthly payment. What seldom gets discussed is the risk of having a mortgage payment at all after the first 15 years. In my case, I have a 30 year mortgage which seamed more affordable at the time of purchase. If I loose my income sometime during those first 15 years I’m sure I’ll appreciate the lower payment. What happens though if I don’t experience a personal financial Armageddon ? Once those first fifteen years go by, and I still have a mortgage to pay, I will have increased my risk. In hindsight, had I bought a slightly cheaper home, I could have financed it with a 15 year mortgage at the same price as my current 30 year mortgage and been debt free (and risk free) much sooner. I’ve had a 30 year and 15 year mortgages in the past. Now that I’ve done all the calculations though – NPV, tax deductions, reinvesting the excess, correcting for risk etc, I find that financially it’s a wash which is what you’d expect looking at it from the lenders point of view. In offering a 15-year and a 30-year mortgage to a buyer, they will adjust the interest rates on them so that it doesn’t make a difference which the buyer chooses. It’s like the cake-cutting game for children – the lender gets to cut the cake in half and you get to choose the slice. The only thing left out of this is mitigation of risk in other areas of your life, which to me overwhelmingly means the risk of loss of income. To mitigate this, the best thing to do is keep your mandatory payments as low as possible and invest the excess. i.e. get a 30 or 40 year mortgage. Heh, $160k is more like the down payment on a home than the mortgage on a home around here. If I could get a place for $160k I could get a five year loan on it. I know this has nothing to do with the math presented in the article, but the overall unaffordability of homes is a bigger issue, I think. The numbers for two different loan terms are easy to work out. Coming up with 20% of $700k is a lot harder. Posts 17 and 19 really need to be incorporated into the main article. I have a 135K for 30 year @ 5.375% right now I have a PMI, but that will be done in short order according to my comprehensive savings plan. Once the PMI is gone I’m going to be just saving it up, because between the low rate and the inflation I’m expecting, a mutual fund will net me better in the end. I’ll probably have to work out a different savings plan at that point though. For me the willpower is not an issue, I’ll just save to whatever is smartest for my needs. We have a 25-year open variable mortgage which is currently at 1.77%. We can pay whatever we want without any penalty because it is an open mortgage. We have it set up so that automatic overpayments are made. Currently with the bi-weekly amounts that we are paying we can pay it off in 14.5 years. As a side note, if you are a first time homebuyer, don’t forget that there may be other costs in your monthly payment (i.e. taxes, insurance) to cover. For example, if you look at a calculator, the mortgage payment should be about $900/month. But once you add in the taxes and insurance, we actually pay somewhere around $1350/month. This can be a nasty surprise if you’ve been hanging out on Realtor.com and playing with calculators to decide what houses you can afford to look at! Besides taxes and insurance, you will also have repairs, upkeep, and some kinds of decorating you just don’t do when you rent. I got a 30-year mortgage 13 years ago at over 8% interest with almost nothing down. The banks didn’t think I could afford a higher payment (because they didn’t include my plan to have a roommate in their calculations). The amount going to principal each month was so tiny (about $30) that I decided to pay an extra $100 each month. After two years I refinanced to a 15-year loan at 6.675% interest (it would have been 6.925% for another 30 year loan). The new monthly payment was just a tiny bit more (not counting the extra $100). That was partly because I had paid off 10% of my loan by then, so my mortgage insurance on the second loan was a lot smaller. I stopped paying extra, thinking I could make more with other investments (ha! I was so wrong about that!). Also, my other investments are stretched across a longer time span than if I had waited until my house was paid off, which reduces risk a bit. In sum, I ended up with the equivalent of a 17-year loan. Even if I continue to make no extra payments (but still make the minimum payments), my house will be paid off when I am 50, which is two years before I plan to retire. I do itemize deductions to get the tax write-off, but the write-off does not influence my decision making. I’d rather take the standard deduction, but now my property taxes are so high that combined with my charitable contributions, I’d still save more money itemizing than taking the standard deduction even if my house were paid off. After thirteen years, I’m getting sick of a few things (like having no dishwasher and no covered parking and like having a clothes washer in the kitchen), so I plan to remodel. I haven’t decided what all to do yet or learned how much it will cost, but I am pretty sure I’m going to pay as I go with cash rather than take some sort of home equity loan. Note: If I knew then what I know now, I might have decided to save until I had at least a 20% down payment. On the other hand, it seemed like housing prices were skyrocketing. Over time, supposedly housing prices match inflation. However, my house is now worth three times what I paid, but I only make twice what I earned then (and my earnings include promotions, not just cost-of-living increases). So it’s hard to know ahead of time what the best strategy will be. @Aaron Margeson, 1.4% is much lower than either 4.5 or 5.0%. You will have more money long-term if you “invest” in your house rather than in an online savings account. @Stephen, it sounds like you really like your apartment. Maybe you should stay there until you don’t like it anymore, and then look for a house. The real answer also depends on how much the kind of house you’d like would cost compared to renting the kind of apartment you like. In my area, rents have hardly gone up at all since I bought my house, and I sometimes think I’d be just as far ahead if I’d never bought. @Debbie, indeed i like my apartment, but not as much as i like having savings – I could have as equally nice of a home, but with a mortgage. @Scott, regardless of where i live, i still need shelter. We do have a nine month emergency fund, both contribute 10% to our 401k and roths. We own both our cars. There will always be inflation, interest to gain and apprecaition on assets. Using other peoples money does have a cost – interest! My dilemma is figuring out when should we purchase a house and stop renting? We use 15 year mortgages. Bought the first place in ’04 w/ a 4.375% 15 year note (20% down). Paid a little extra each month. Relo’d in 08 (at a loss), got a slightly bigger mortgage @4.875%, put about 30% down. I have hopes of paying it off in 2013 or 2014 – before the tenth anniversary of the original note. I still pay extra each month, and I am steering portions of my bonuses towards the mortgage. If things go to plan we’ll be paid off when I am 42, my wife is 40, with kids being 8 and 5. Then, go heavy on the college funds. When I asked about where you would live I was getting at the point that you don’t want to incur non-recoverable transaction costs too many times as they eat into your equity if you keep buying/selling. In general you don’t want to buy a house unless you’ll be in it at least 3-5 years as the 6% cost (normal realtor fees) to get out will just be money out the window. You are correct, there will always be inflation. What I’m trying to point out here is that not everyone takes into account the inflation side of the equation which helps defray the cost of the interest over time. As many have commented already, keeping your money gives you financial flexibility at a small cost (interest) since you don’t have to give up all of your capital. What I was trying to point out is that if you factor in the normal rate of inflation with today’s interest rates that you can essentially get your mortgage interest free with only moderate capital appreciation. If you had a rate of 8%-10% then by all means pay it off early, but with rates around 5% and inflation historically around 2% it is pretty easy to make up the 3% differential and get the financial flexibility of having extra capital at your disposal if necessary. Even if you don’t use the extra capital to invest, the long term rate that you are paying to borrow money is actually the mortgage rate – inflation rate – tax benefits (nominal as pointed out by others). You aren’t a failure if you don’t send in extra money every single month. We write a principal check when we can afford it. If that’s three months in a row, fine. If it’s twice a year, so be it. We do what we can and don’t beat ourselves up. I’ve been struggling to find full-time work for over a year now, and I constantly thank the universe that we didn’t do a 15-year mortgage. I agree with Barb1954 (#48). No debt is a great way to live! During my ten year career as a mortgage broker, I had clients that would refinance multiple times. Some just wanted to take advantage in a dip in interest rates. I always cautioned against this. Look closely at how much you are saving by lowering the interest rate vs. how much it is costing you in closing costs. Since you can roll closing costs into the loan on refinances, some people don’t consider the effect refinancing has on your mortgage. Unless there is a compelling reason to refinance, I suggest making extra principal payments. You can save HUGE amounts in interest payments. To track savings, pay extra principal payments using your amortization schedule. (See chapter 18 After the Closing in my book “Getting To Closing” http://www.CherylLPeck.com for a detailed explanation. I just refinanced at 4.5% for 15 years, but my autopayments set up with the issuing bank all contain a prepay so I should be all done with the mortgage in 9 yrs (determined by when my kids start college). Setting up an autopay is a great way to keep from forgetting to prepay. I like still having the option to decrease my payments down to the required 15 year amount if something happens with my job. I may have to look at refinancing into a 15-year loan. This is very helpful information! 1. Taking advantage of tax favored accounts with yearly caps creating one time opportunities to do so like 401k’s and IRAs. 2. Having any debts with the same or higher interest rates that have no tax advantages. 3. Not having a large enough emergency fund. It’s my personal opinion I’d not want to be forced into paying a higher amount to save that little in interest, when I could more than make up for that difference stashing it in even a basic savings account. Is this all a moot point if you only plan on living in a place less than 10 years? We’re looking for our first house, which is going to end up being a townhouse, but this certainly isn’t our final destination. We’re going for conventional 30-year, 20% down, to keep lower monthly payments since we’re not going to be fully paying off the mortgage anyway, no need to try to get ahead on it, right? Well, we just pay every two weeks on the paydays, so we end up paying one full extra payment per year. I’ve read that it may reduce the loan by 10-12 years. That ain’t hay!It’s less painful for us, at the moment. We took out a 30-year mortgage when we bought our first house last year at 6.25%. We could have did a 15-year mortgage, but we were afraid of the monthly commitment and wanted wiggle room. We pre-paid our mortgage down by literally thousands over the first year. We refinanced this year at 4.875%. Again, we opted for a 30-year mortgage without escrow. Some months we pay nothing extra towards principal; some months we pay over a thousand towards it. Right now I am worried about the stability of my job, so any money leftover at the end of the month is going to the emergency fund and not the mortgage principal. I am very, very happy with my decision to go with a 30-year mortgage. It gives me flexibility to pre-pay but we’re not obligated. A bigger financial obligation would really worry me at this time of uncertainty with my job right now. The savings from going with a 15-year mortgage wasn’t worth the risk of losing the house altogether. The mortgages sound like a reason to go to America! I’m in Brisbane, Australia, with a 30 year, $391,000 mortgage on one income. I am prepaying where I can, but there aren’t many people I know who could contemplate a 15 year mortgage in Brisbane. Wow, 45 people used the spreadsheet! Hope it’s helping folks, and good luck house hunting/financing/etc. My husband and I just bought our first home this summer, and, like others, we went with the 30-year mortgage just in case of a financial emergency. We’re paying extra to cut down on the interest that we’ll end up paying. Our goal is to have it paid off in about 18 years; 15 is a little too ambitious with our income level. It’s less of a challenge to stay committed to paying the extra each month when you remember that paying a few hundred extra now is saving a few thousand in interest down the road. It’s also important to think about what other debts a person has. I have a large grad school loan at 6.8% so I’ll save more overall by getting a 30 year loan at 5% and paying extra on my student loan than I would by paying my regular payment on the student loan and getting a 15 year loan at 4.5%. Same thing for the down payment. I’d rather make a smaller down payment and use the extra to pay off the student loan early. Once it’s totally paid, that’s one less payment each month and so extra income I’ll have every month to pay on the mortgage. I’m more curious about your building process. Is this going to be more costly to build your own home, or will you break even on the cost versus purchasing one already on the market? Are you starting with an existing floor plan with a builder or from an online source? The reason I ask is that I live in a very pricey neighborhood and am finding homes in our price range that need a lot of work. My husband and I started thinking of building our own, but don’t really know anything about this. It’s good to know that you can get financing if you choose to build. This was also something I wasn’t sure of. We just bought a house (the second one we’ve owned)in November. We got a 30 yr fixed, 5.35%. Even though we are able to save quite a bit of money each month I haven’t brought myself to pay down the mortgage. Frankly I sleep better at night with a very large emergency fund, fully funded retirement accounts, and a nice hunk of taxable investments. The thought of paying off my house early doesn’t excite me – probably cause I know that I couldn’t get a loan that cheaply anywhere else. If I wrecked my car I’d pay cash for a new one, but if that money had already been used to pre-pay the mortgage I’d have to take on a car loan (something I never plan on doing in my life) at more than 5.35%. I’ll probably make a token extra payment at the end of the year (maybe 2Xs what my normal monthly payment is) in order to knock a few years off that loan. 30-year mortgage, extra payments each month to amount to one extra payment per year. I increase that with each raise. I also make the sporadic extra payment when the funds are there, from time to time. I think the 30-year with the wiggle room is the way to go, but make the 15-year payment. Once you get disciplined and keep doing it, it becomes easier. I think the 30 year mortgage paid off in 15 years seems like a good option for many people. Of those who may lack the discipline to pay extra every month, some would still pay more regularly enough to save a sizeable amount on interest and still own their home sooner, while maintaining some level of financial freedom. I choose 30-year loans over shorter periods for the same reason I prefer interest-only loans (where you never pay the principal down) – cashflow! Sure you pay much more interest for the loan than you would for the shorter period but your mandatory payment each month is less. If you are disciplined and working within your budget you can pay shedloads more off and reduce the loan significantly, *but you don’t have to*. So if things got tighter you can drop it. My advice for people who can afford it is get the 30-year loan but pay it off as if it was a 15-year loan. Or a 10-year one. My only question is: in the US, do you have redraw facilities on your loans? Not where you need to refinance to access your money, but where you can access any extra you have paid on your loan with just a phone call to your bank. We have that where I live (Aus) and I love it. My entire emergency fund resides in my mortgage as the interest it saves me is far more than what I could earn elsewhere. But if I couldn’t easily access the extra repayments, I would be much less likely to prepay. Just in case I needed that money down the track. We have a 30 year mortgage for 2,100 each month. I pay 2,500 every other paycheck so I make 13 payments every year and an extra 400 each month to principal so it is like i make 3 extra payments each year. We should have our house paid off in 11 more years. I had just refinanced my mortgage from 6% to 4.875% – (it was barely one year old) the savings from the interest rate change is about $36K less costs to close of $3K leaving me with a savings of $33K. Next the payment of course droped $125 and I was currently paying an extra $100 every month – so with the $225 extra a month still available – I will put it down on the mortgage and the mortgage will be paid in 17 years. Paying it off earlier will save me $90k – so for one days change – $123k saved – not too bad. Interest rates are still good. I felt so good when I signed on the dotted line and my daily rate dropped about $5/day! It doesn’t happen overnight, saving is part of how you choose to live and each day we wake up, we have a choice. I agree with Scott regarding inflation’s effect on the value of money, so from a purely #s point of view, this post doesn’t really hold up. The 15-yr vs 30-yr decision really is more psychological, w/ the “sleep well” aspect of owning your home outright taking priority in many people’s minds. Having said that, I live in an area with one of the top 10 highest costs of living I the nation. We also have lower wages for comparable work than other parts of the nation (I know, doesn’t make sense). If people only purchased homes with 20% down & 15-yr mortgages, very few here would ever be able to afford a first home. For those of you who can’t imagine such a place, a friend of mine just purchased a 3-BR, 2BA 30-yr old town home in a middle- to lower-middle-class suburb 30 minutes outside of the city for $700K. No, that’s not a typo. It’s just what homes cost here. the point about having the discipline to put extra money on your house is really no different than any other form of savings. Set up your account to “pay yourself first” but instead of into a savings account, into your house account. We have a 30 year mortgage, but have thrown large chunks as they come over time. We;re currently at 10 1/2 years into the mortgage. We also decided 2 years ago that we would supercharge our monthly payments by totally tightening our belts for 1 year…we paid an additional $750 per month the entire year….paid for by not eating out, really sticking to spending plans, and taking a stayvacation that year. We now pay an extra $250 per month. We have a 10 month EF, plus have contributed to our girls education funds when we could, plus no CC debt. We should be done by next April, which will be 11 years of mortgage, saving 19 years of payments. We’ll both be 48. The thought of paying a mortgage into retirement really sickens me. It feels like a game played on people…a serfdom sort of. Now, we’ll have time to supercharge our girls college funds (oldest starts college in 3 years. )and continue to superfund our retirement accounts. We bought the house in 2001 with a 30 year 7% interest rate mortgage. Refinanced in 2003 to a 15 year 4.875% note. On a slow work day this summer, I ran the numbers and found that, based on the DJIA close that day, we’d come out more than $20K ahead at that point in time by refinancing than if we’d kept the old note and invested the monthly difference between the cheaper old note and newer mortgage instead in a generic index fund. These days, the gap wouldn’t be quite so much, but the 15 year would still be a win in terms of mortgage balance v. investment account balance. With the modern American lifestyle where it’s common to move every 3-5-10 years, it can be helpful to think the medium run when it comes to expectations of the housing and stock markets. While you can talk about long term stock market behavior, if you had to sell a home in the first half of 2009, you would have been better off having a lower mortgage balance than possibly having to dip into an investment account and sell stock at a loss to cover the loan-sale price gap while the market was at an utter low point in time. We still sock money away in the index fund with an idea of a 20+ year time frame for that account, but over the 3-5 more years I see it taking for the economy to shake out again, I’m glad to have a sure thing when it comes to increasing the bottom line by decreasing the mortgage debt. When we bought our first house in 2002 we took out a 15 year mortgage at 8% for a 132,000 house in Texas and tried to pay it off in 8 to 9 years. In 2005 I discovered that once I had 20% of equity in my home, my local credit union could offer me an 80% home fixed equity loan at an interest rate of 5% without any refinance charges for the next 5 years, which I used to pay the remainder of our mortgage. Since 2006 I had the option to refinance my home equity loan every year without paying any refinance charges and take advantage of whatever lower interest rate were available. In March of this year, I found another credit union that was offering a 3% on their fixed home equity loan with a term of 3 years, I moved quickly on this opportunity and hope to pay our house in the next 2 years. I estimate that I have saved over 10,000 in interest over the past 7 years by trying to pay off the 15 years mortgage in half the time. Or….think outside the box with this suggestion. Take out a 30-year mortgage. The money you intend to pre-pay it with, put in a GNMA fund, one from Vanguard because of low expenses. The fund, which invests in mortgages, has around a 4-5% yield and fluctuates only slightly making it slightly more risky than a savings account but far less risky than stocks. If an “emergency” comes along where you need the cash, you have it in the GNMA. If you invest long enough, you can retire your 30-year mortgage in around 15-years with the GNMA investment. You get both “wiggle room” and the option of paying your mortgage off early. Future web column idea perhaps?? I did the 30-year mortgage with the intention of paying it off in 15 years or less. I printed out the amortization schedule. Each month I make the full payment, plus whatever the next principal payment is on my schedule. So each month my additional payment is a little more than the previous month. When I got my tax return and bonus last April, I paid 3 additional principal payments from my schedule. Even if you can afford the 15-year mortgage, AND you have enough cash-flow, I’d suggest getting a 30-year and THEN pay it down quickly to the 15-year mark. That is, get the 30-year then focus on paying as much of it off early in the life of the loan to pay it down enough such that you have only 15 years (or 20 years, if you prefer) total on the loan – so it takes 5 years to pay it down to 10 years remaining, or 2 years to pay down to 20 years remaining, whatever you’re comfortable with. Then later, after you’ve paid down those initial “expensive” years of the loan (when the interest paid far exceeds the principle paid), you can decide if you want to keep prepaying your loan or choose to divert your extra cash toward your savings/retirement accounts. The bonus there is that with the 30-year schedule your remaining monthly payments will still be low (compared to the 15-year schedule) allowing you to divert more toward savings in those remaining 8, 10, or 12, or so years. Not only would that allow you to essentially pay your mtg in 15 years but it allows allows flexibility if your finances take a hit and a 15-year schedule is too expensive (much less, a 30-year schedule), but it also allows you to diversify, as it were. You have a significant “safe” savings in your home but then you also can increase your retirement savings too. Yes, I know that the money applied toward the mortgage in the early years does not get to compound in your retirement account. This plan assumes that you ARE putting some money in your retirement accounts while still accelerating your mortgage payoff. So, you get the benefit of paying off your mortgage early while also growing your retirement account … diversification. PLUS if you later decide you need to move (to upgrade or just to follow a job) then the accelerated payment also helps you increase the equity in your home that you may then use as a down payment on the new home. And THAT option should not be underestimated. To paraphrase others: a rental property is an investment; your house is where you live. Inflation won’t pay for your house. The implicit assumption in hoping that inflation makes a 30 year loan much cheaper than a 15 year is that your personal income increases faster than the rate of inflation. Unfortunately, that has not been the case over the last 30 years. Only the fact that both members of the average household now work full-time has enabled households to keep buying houses as individual real wages fell. Please make contingency plans for one member losing their full-time wage. @Bill, I don’t think I’m arguing that inflation will pay for your house. What I’m trying to point out, that due to inflation, a dollar today is worth more than a dollar tomorrow. By using all of today’s more expensive dollars to pay off your house it is making it more expensive for yourself. With interest rates so low right now, it doesn’t make sense to prepay everything because it is actually ‘cheaper’ in the long run if you invest the extra principal payments in such a way that you would generate a decent return. I agree, it gets more complicated as you factor wage growth into the equation if you want to examine nominal percentages of real income. But here’s where your analysis (I believe) doesn’t hold up. If you have a fixed mortgage your payment will stay the same regardless of inflation. Even if your wages stagnate, your payment as a percentage of your wages stays the same (even better if you get moderate increases even if they are below the pace of inflation). Since your payment is staying the same over 30 years, and since future dollars are worth less, use those future dollars since they are cheaper to you to pay off your mortgage. Don’t use today’s more valuable dollars. This gets beyond the basics of personal finance and into some more esoteric economic concepts but I wanted to point it out to people who may not have considered it before. The argument doesn’t hold water if the spread between inflation and your interest rate grows beyond what you could expect from investing the extra principle payments, but in today’s economic environment I think it has merit. I wanted to point out to people to be careful how you run the numbers. It will always look like a better deal because of saved interest payments to take the 15 year payback plan if you can swing it, just be aware of the cost of doing so. I started out with a 30-year mortgage. I did the math, and at the time, a 15-year would have made the budget tighter than I wanted. After a couple of years, I refinanced with a 15-year. In the meantime, I made extra payments whenever I could. If I could do $300, I did it. If I could do $90, I sent that in. The re-fi didn’t really gain me much. Six months after I did the re-fi, I got on a debt repayment kick. It took me about 3 years to pay the house off in full. Had I not gone and done a re-fi and ended up on the hook for closing costs, I probably would have paid the house off a month or so earlier. I didn’t save nearly enough to recoup the cost of the re-fi. If I had it to do again, I would have gotten a 30-year for flexibility, then paid it down as aggressively as I could, and avoided the re-fi. The interest rate doesn’t make much difference when you pay the mortgage off quickly. Yet, this lack of understanding of the benefits of paying down the loans is really a lack of self-discipline as well, in terms of the refusal to take the time to understand it. If you do not have a mortgage, you only have to worry about the property taxes and perhaps association dues, if you live in a community that has them. It really is possible for people, especially without children, to live very cheaply. Back in the old days, this was a huge selling point to buying a home, instead of renting. The idea that eventually, you could stop writing that big check every month. When people start financing their homes over 30 years, that seems to get lost. People become focused on what that monthly check is, because they don’t think of it as a debt to be paid off. 30 years is so far in the future that mentally, these people are still renting. Don’t lock yourself into a bigger payment than you have to, but on the other hand, think about how long it should really take a sane person to pay for a place to live. 30 years? That seems way too high. I financed for 30 years and have lived here for five. If I never paid another dime extra toward the monthly payment, I would have it paid off in nine years, for a total of fourteen, based on the amount I’ve paid down already. My income varies, so some months I pay no extra and other months I pay a lot extra. Windfalls have gone to the mortgage. On the other hand, I don’t invest in the stock market or to my 401K as much as other people. I stopped funding my Roth IRA. In fact, it performed so poorly I just took a lot of the money out and applied it toward my mortgage. Some folks might disagree, but I have very little faith in the financial markets. It’s just paper. Ever notice how they are always telling you that your losses only exist on paper, but they never want to admit that about the gains? You NEED a place to live. At least if you are putting your money into a home, you are buying something that has material, useful value to you. And you are buying yourself the freedom to be able to live on a lot less. If the economy takes a dive and you have to work for less, it isn’t hitting you where it hurts. Well there sure is a lot of interest in this question, but I say 15 to 20 yrs max. I think I read somewhere that when mortgages first became mainstream products they were for 10 yr terms at a max. Re: inflation and the 30 year, the banks win either way – getting the bulk of the money in interest while the money is worth more in the first 15 years of the loan and when the tide finally turns and you are paying more in principal than interest, the bank has already collected 70% of the interest they are going to see over the life of the loan. dinkytown.net has a bunch of mortgage calculators including a 15 vs 30 year mortgage calculator where you can list amortization by year or by month. Remember banks are a business and they are out to make money. They make money off of your money. They pay low interest rates and loan out at higher interest rates. So they want as much of your money, as often as possible, for as long as possible. Then shouldn’t your goal be to give them as little as possible, as far apart as possible and for as short of a time as possible? I have a 15yr 5% mortgage and I pay extra. I’ll have it paid within 11 years. I love the peace of mind. Who would you rather be Bob or Jim? This is all about mortgages and I wonder where people really want to be. What’s your vote? We are in the process of purchasing a home and are currently under contract. We feel very versed in the pros and cons related to the 15 and 30 and ultimately decided that paying of our home as quickly as possible was our number one goal. We ultimately chose the 15 for the cheaper rates as well as “forcing” us to pay the higher payment. We will hopefully have a paid for house in 5 – 10 years! Banks make less money when you pay off early. They don’t want your principal, they want your interest. If they wanted the principal they wouldn’t have loaned it to you in the first place. As far as Jim vs. Bob… It’s a nice story, but the only thing it shows is that you need some kind of emergency fund before attempting to pay off the mortgage early. I highly recommend the wiggle-room method. You can make extra payments, but you’re not obligated to. The goal of paying off the mortgage is more freedom, not more stress. Only debt is my mortgage. Throw enough in the 401k to get full matching funds from my employer. Modest non-retirement stock account (I use this as my back up emergency fund). 7/1 ARM. This is a 30 year mortgage with a “teaser” rate for 7 years that is lower than the 15 year fixed rate. This works for me because, if I stay on target, I’ll have the loan payed off in about 10 years. This means only 3 years will be “risky” as far as interest rates go… but they’re only relevant in the final 3 years (according to plan) when the interest portion of the payment is lowest anyway. The reason I like 30 yr over 15 is I can adjust my payments as needed. Some months I put over $1000 extra in, others I put $0 extra in (like this month when I got both my property tax bill as well as my auto-insurance bill). Flexibility is key. Also if things go south, it’s a lot easier to make the 30yr payment than the 15. Bill in NC points out that this is only useful to you if your wages have kept up with inflation and this is true, but even that is not enough. What are you going to do with that extra $1,000 instead? Somehow, you have to protect it from the ravages of the inflation you are predicting, PLUS earn enough extra to cover the annual 5.5% mortgage interest, before you actually come out ahead. This is easy to do with hindsight (in 1970, you could have bought 25 oz. of gold for $1000 and by 1980 you’d have close to $20,000), but not with foresight (if you’d bought $1,000 worth of gold in 1980, it would have been worth about $500 in 1990, while inflation during that time would have left you with more than that). Almost certainly $1,000 in the last years of your mortgage will be worth less than $1,000 today, but the basic question remains the same – what is the best investment of that $1,000 to make today? Besides, even though I think inflation is a far more likely scenario than deflation, Rule No. 1 of personal investing is to diversify so as to allow at least part of your portfolio to benefit from whatever is decimating the rest of it. A 25-year guaranteed 5.5% non-callable tax-free bond would be great deflation-protection. (*I say “almost” risk-free because paying down your mortgage does carry a small risk of loss if your house value is lost through an uninsured disaster, seizure, or near-total price collapse – think Detroit – and you can no longer live in it). single, almost 50, bought my 1st home, I took a 20 year loan at 5% and have been adding $350.00 more to the loan, I would like to pay the home off in ten years if everything go alright. I have three saving accounts for the what ifs in life. I took a lot of classes on home buying, saving, and living with the money I make, as long as I stay in good health this home will be paid off in then years. I think it’s both, and I also think that people might not be paying extra because they have other debt that needs to be paid first. “97.3 percent of people do not consistently pay extra on their mortgages.” This includes a lot of people who intended to pay off their 30-year mortgage in 15 years. My wife and I paid off our house a year ago, and we’ve enjoyed newfound freedom such as my wife being able to stay at home with our 2-year-old daughter. I’ll choose financial freedom (i.e. 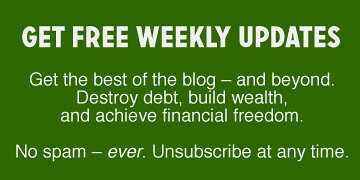 debt free living) over a tax deduction any day of the week and twice on Sunday. I recently refinanced to lower the payment on my mortgage because my job situation had become unstable. Though I have a 30 year mortgage, I triple the principle and will be able to pay it off in 10 years, but if I lose my job or experience any other financial setbacks, I have a payment that I know I can make easily. Still will pay off the house in less than 15 years if I continue to make the extra payments. This article was very informative and reaffirmed what I believe to be true. So much of this is what old folks used to tell us, it might be better to get lower payments and pay more if you can. Great article! I wasn’t expecting the pay a 30 year off in 15 years breakdown, that is exactly what I was looking for. Now its decision time! Compare apples to apples. If she’s saving $238 *per year* in taxes, how much is she paying *per year* in extra interest? ($88,893/30=$2963) — THAT is how you measure savings, especially with such big numbers. No. Interest is not linear, meaning you would not pay the same amount every month. Significantly more interest is paid during the beginning life of the loan and it tapers off as the loan matures. As somebody who makes a living as a mortgage underwriter, let me say, if you ever need “wiggle room” in your monthly mortgage payment, then you are probably already living on the verge of financial disaster. I just refinance my 30 years mortgage into 15 years and monthly payment up only 86 doller. I went with a 30 year mortgage but pay enough extra principle payments to pay off the house in less than 15 years. If anything should happen to my income I can go back to much lower payments without refinancing. I am paying much more in principle for 5 years and back to minimum payments the last 8. I will pay much less than if I had a 15 year mortgage.